Even though I’m not working as much on my work in process as I’d planned. Sometimes you just gotta read, read, read until you can’t read anymore. Here are the books I’ve enjoyed the most. Note I’m hopping from one genre to another and sampling lots of new (to me) authors as well as checking out the new books of authors I’ve read before. I just had the pleasure of reading an advance copy of Brian Kaufman’s The Fat Lady’s Low, Sad Song. 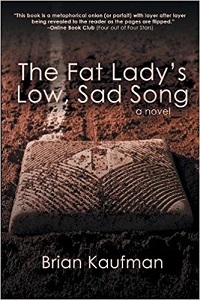 This is a novel of baseball, but you don’t have to know or love the sport to enjoy the story. What you do have to love are characters you’ll care about, a dysfunctional family of diverse and interesting people (in this case, a sports team), and an unexpected ending. If I was a young woman trying to break into a man’s world, as pitcher Courtney Morgan is attempting to do in minor league baseball, I’d sure want a mentor and protector like Parker Westfall, a guy making his last valiant attempt to move to the big leagues. I think their relationship was the part I enjoyed most about the book, but the whole novel is worth every minute I spent reading it. Highly recommended. And stay tuned because I hope to have Brian Kaufman as a guest on my blog very soon. I bought and read this novel on my Kindle. When I’m looking for a western to read, I try to find one with a strong female main character. Hellgate definitely qualifies. 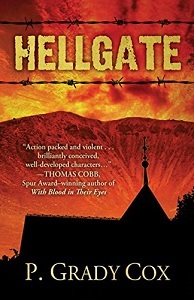 Hellgate is the name of a massive colony of despicable outlaws ruled by an even more despicable Mason McCabe who thinks nothing of assaulting and killing women and children and tossing their bodies in a mass grave. Young Rose LaBelle is captured off a stagecoach by a band of vicious men who shoot Rose’s father whom she assumes is dead. She is then taken to Hellgate as a special offering to McCabe’s insatiable appetite for beautiful women. How Rose deals with her dangerous situation and yet tries to help the other women and children try to escape Hellgate makes a gripping tale. 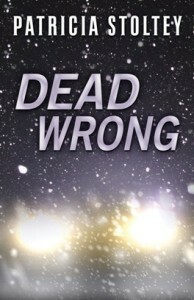 The author is topnotch at fast pacing, high tension, interesting characters, and a well-crafted ending. Highly recommended. I’ve known about Alice Duncan’s Daisy series for a long time but had never gotten around to reading any of her books. After enjoying Spirits Unearthed, it’s clear I need to go back to the beginning and get completely caught up on Daisy and her adventures. 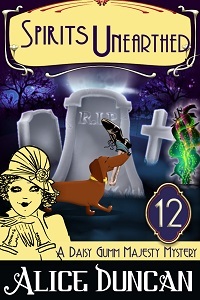 She’s a charming sleuth at a period in history when women didn’t enjoy freedom from a man’s supervision. Daisy does it anyway. One of the delightful parts of her personality is her tendency to offer verbal asides to the reader. Daisy is a “spiritualist/medium” who conducts readings and seances for those who believe and can afford the fees. Daisy doesn’t even believe in her own psychic abilities, so she’s taken aback when her ouija board develops a mind of its own. 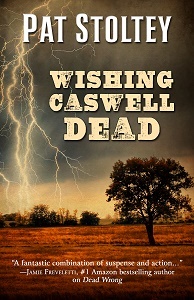 Ever indulgent, Daisy’s fiance, a police detective, tries to remain aloof from her sleuthing, but when she finds another body (apparently a recurring event in the series), he is drawn in to the case. These are fun characters I’ll be happy to read about again. The Wild Rose Press Inc. 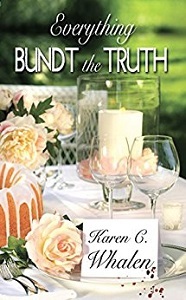 This is the first book in the Dinner Club Murder Mysteries, a three-book series. I bought and read this novel on my Kindle in preparation for the Sisters-in-Crime-Colorado Northern book club meeting in June. Two-times widowed in unusual circumstances, Jane Marsh is determined to set her life back in order and have some fun for a change. One of her goals is to nab an invitation to join the neighborhood dinner club. The group is scheduled to attend Jane’s first audition meal at her home but the plan changes in a hurry when the new cleaning lady is found dead in the basement. There are plenty of clues, and Jane jumps into the middle of the investigation in spite of police warnings to stay away. It’s a fun read with plenty of suspects and plot twists. Karen C. Whalen will be a guest on this blog on Tuesday, August 7th, 2018. I’m now finishing up two other great reads: Immoral by Brian Freeman, the first Jonathon Stride mystery, and Peculiar, Savage Beauty by Jessica McCann. I’ll be talking about those books in another post. In other news, the great garage cleanup project is done except for hanging up my garden tools. After I finish my novel I’m working on now, I’m going to start the great closet and drawer clean-out project. De-cluttering is the neverending story. But first, finish the novel. In addition to my new writing schedule, I’ll be reading more good books, watching Big Brother which starts on June 27th and watching more Master Chef (I keep hoping some of that cooking enthusiasm and talent will inspire me), talking to my four tomato plants which did survive the two hail storms and are full of blooms and even a couple of baby tomatoes, and overseeing installation of a new hot water heater and a new patio door…plus all the other usual stuff. Please check out my June post on the Blood-Red Pencil blog, My Cure for Writer’s Block and Procrastination. Now it’s your turn. What have you been reading that you’d recommend for my summer book binge? If you’re a writer, are you making good progress on your current projects? Have you undertaken a big job like cleaning out the garage lately? And finally, do you have any humming birds where you live? I’ve had my feeder out and have cleaned and refilled it twice but haven’t seen even one little visitor.